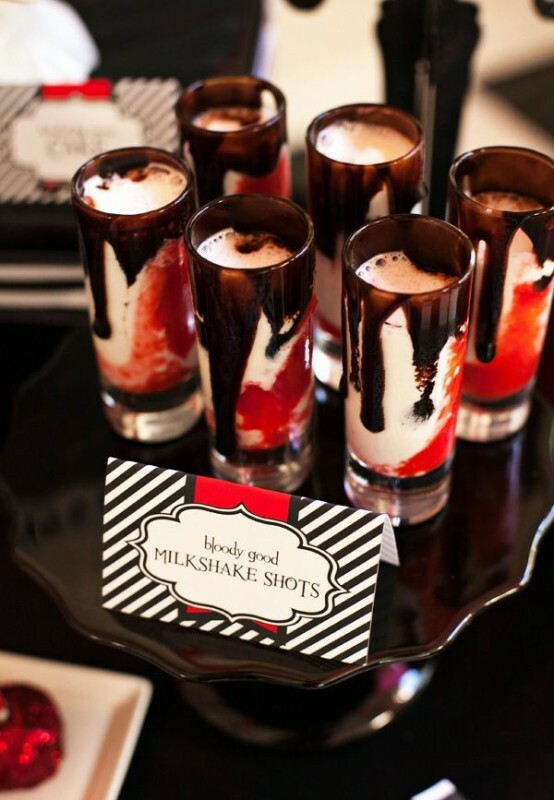 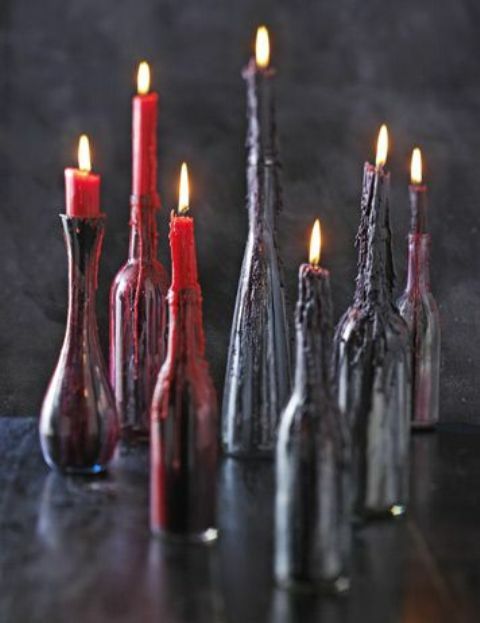 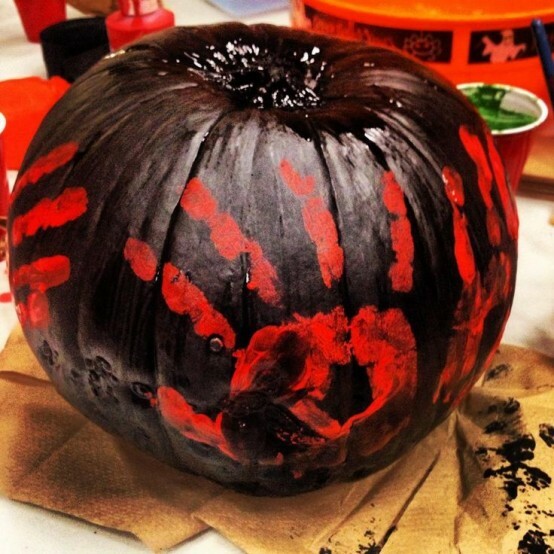 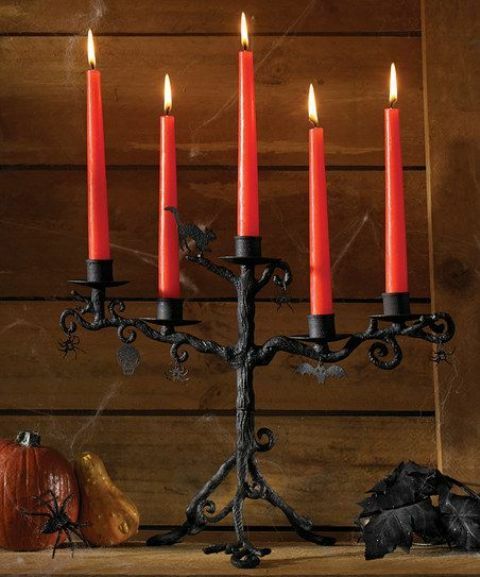 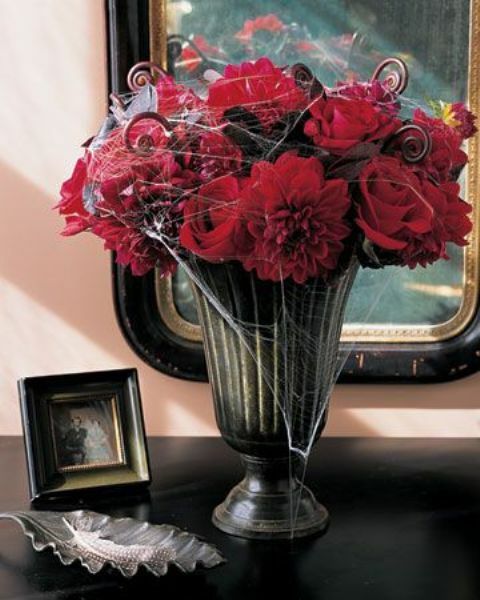 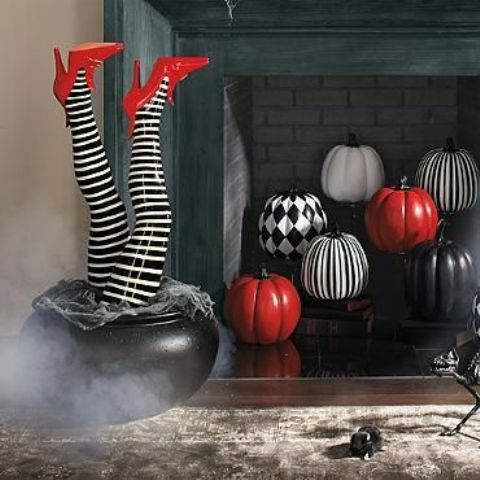 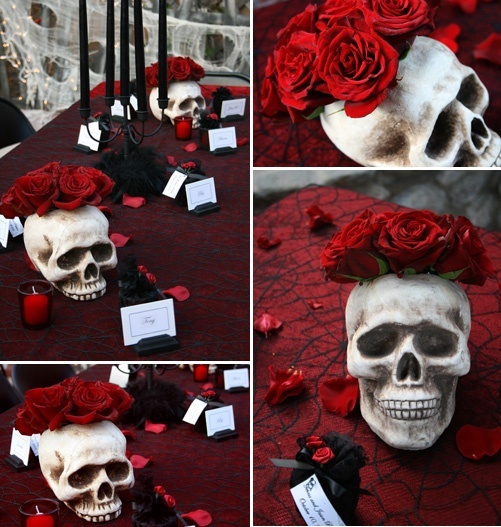 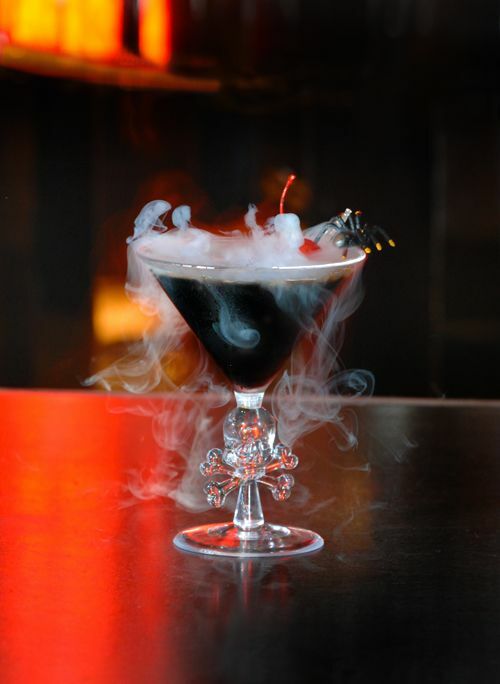 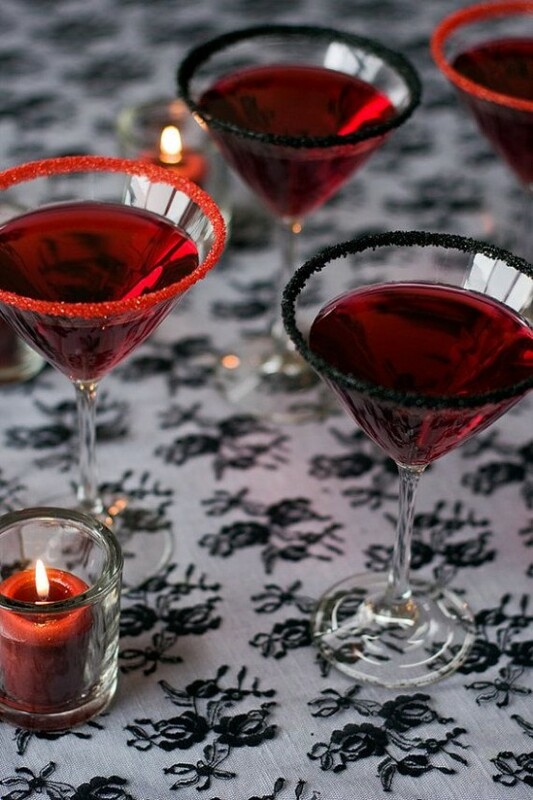 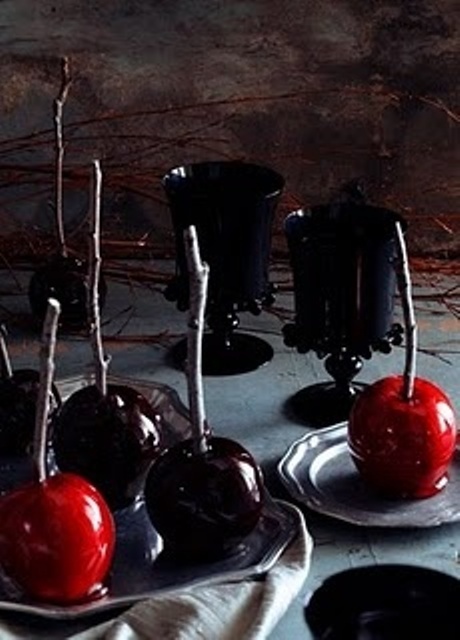 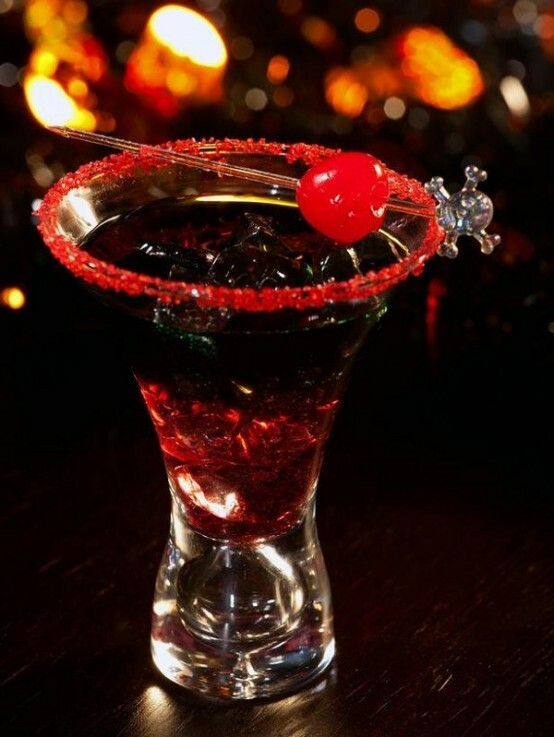 Red and black is an amazing Goth color combo, ideal for a Halloween party. 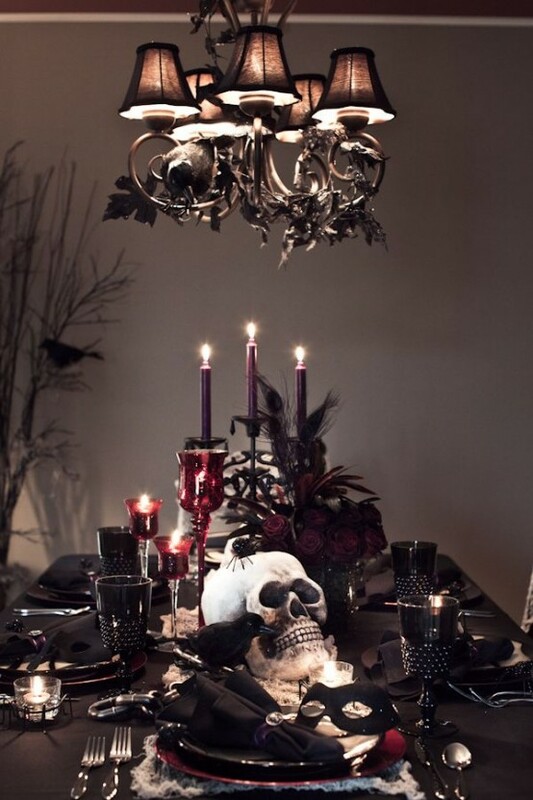 Here you can get any theme you like: Goth, glam Goth, vampire, zombie, Dexter, witches, the Addams family or any other you like. 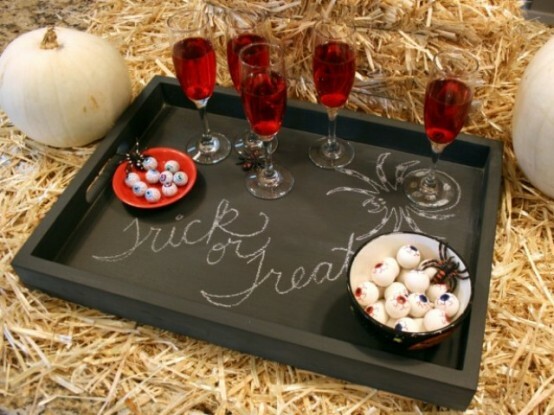 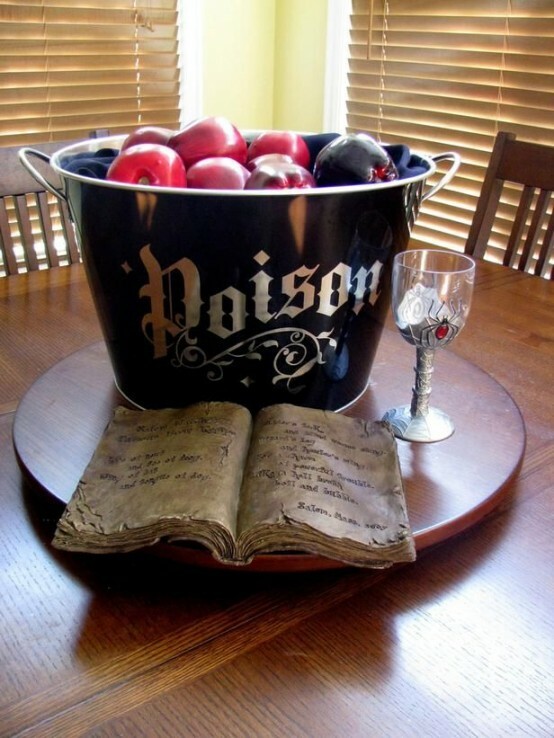 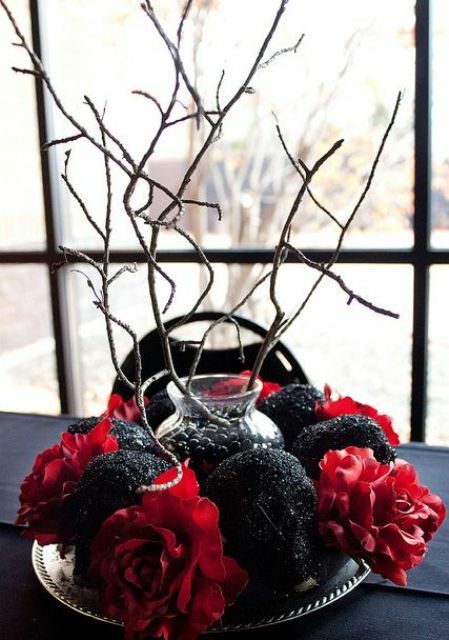 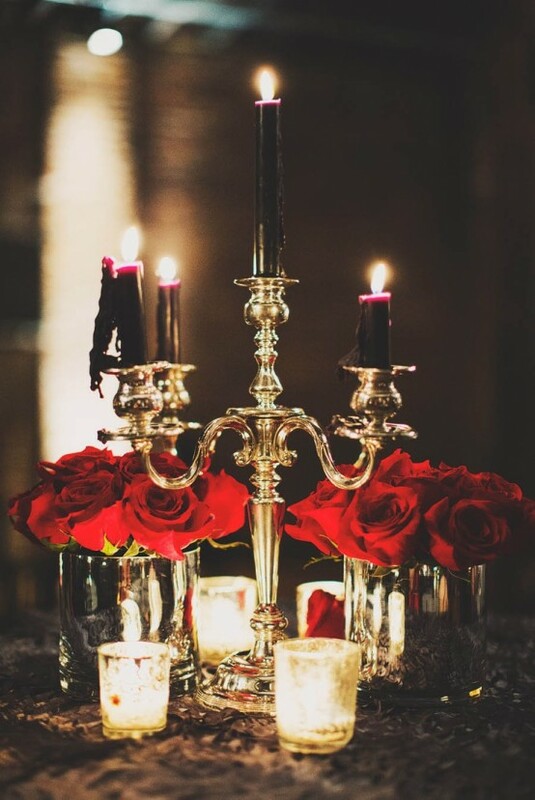 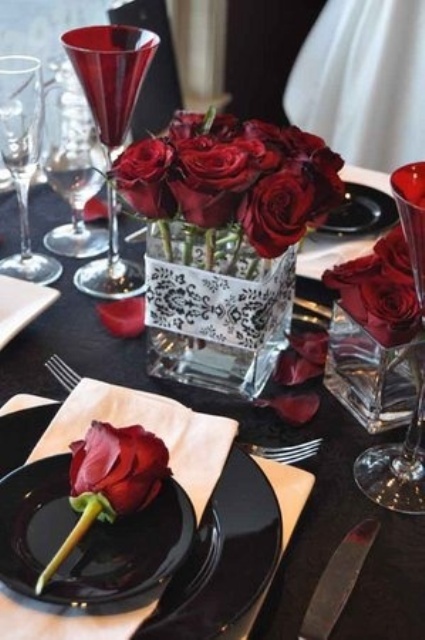 For a Halloween masquerade or glam Goth party lay the tables with red roses, add glitter black and red skulls, make refined rhinestone pumpkins in red and black. 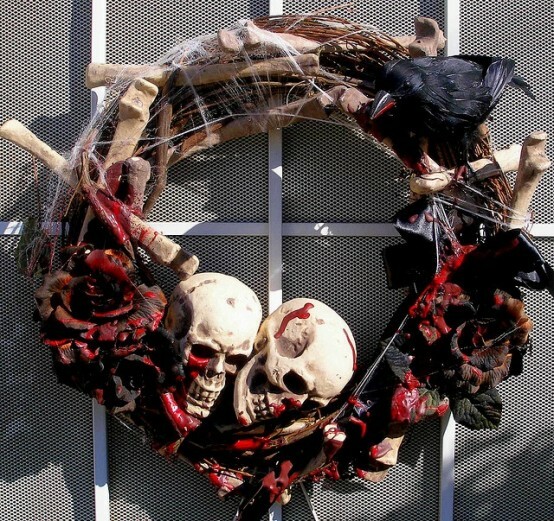 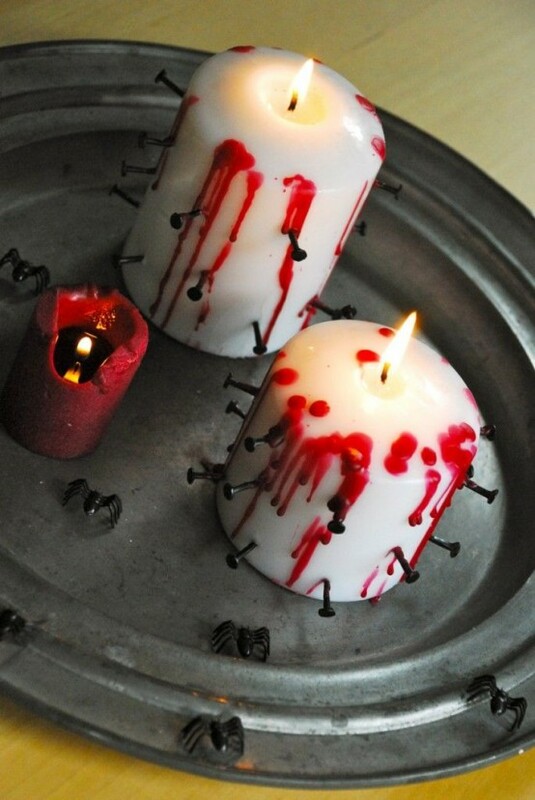 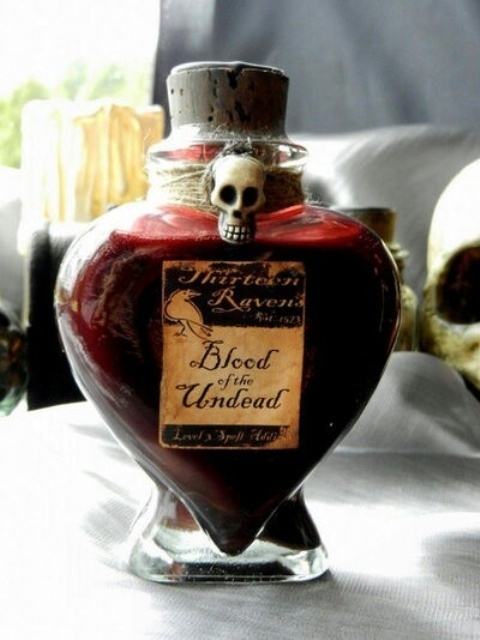 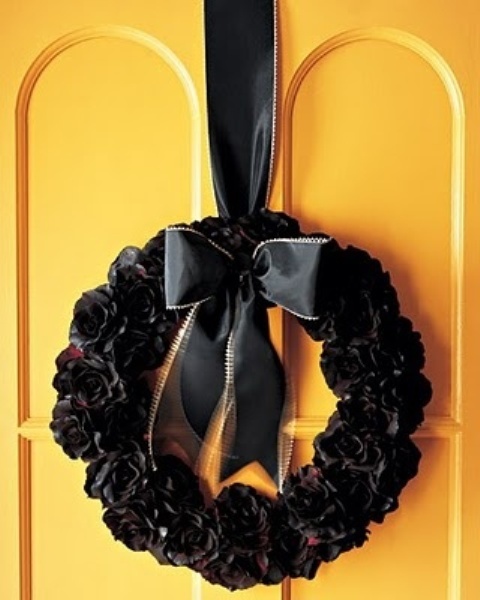 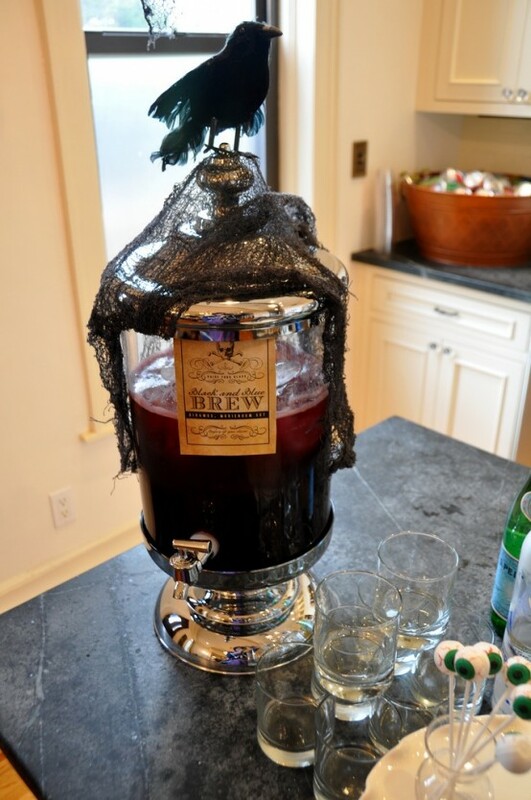 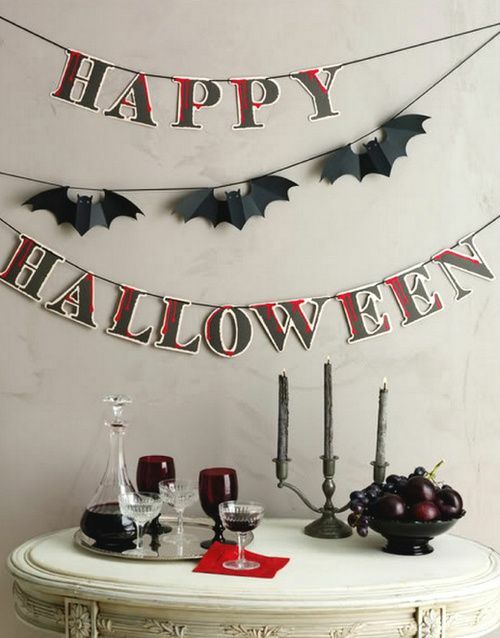 Spooky wreaths, human heads, bats and blood candles are traditional and no Halloween can do without them. 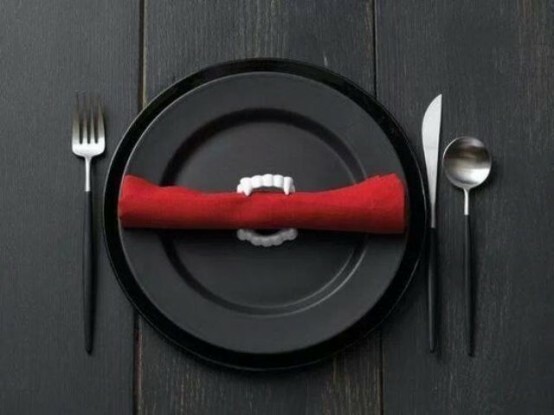 Don’t forget the food! 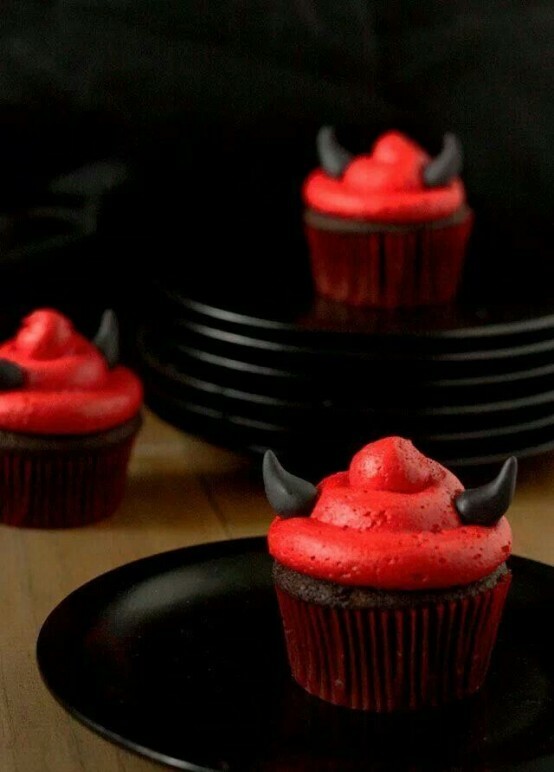 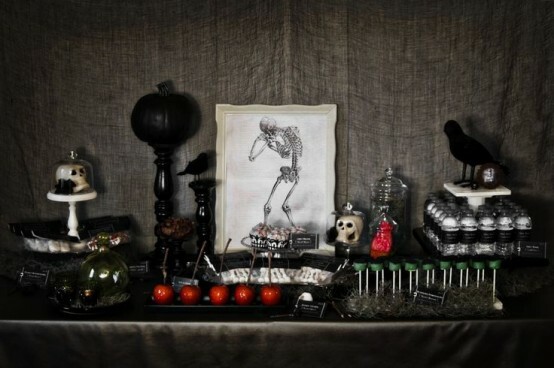 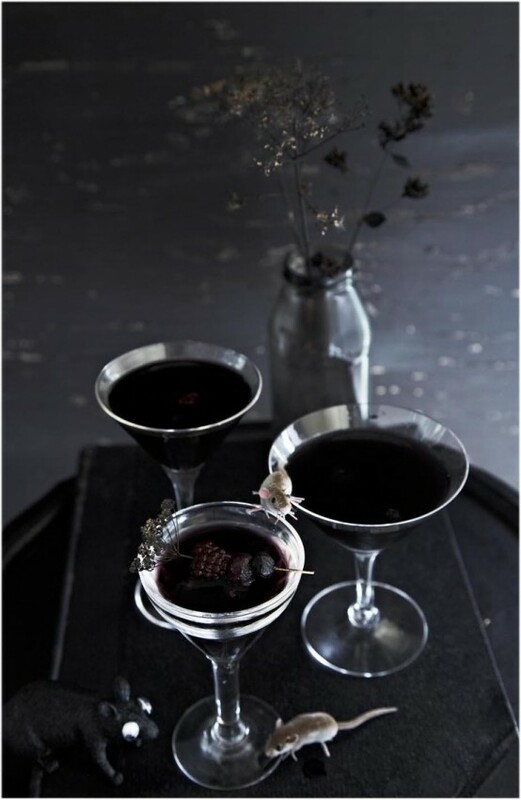 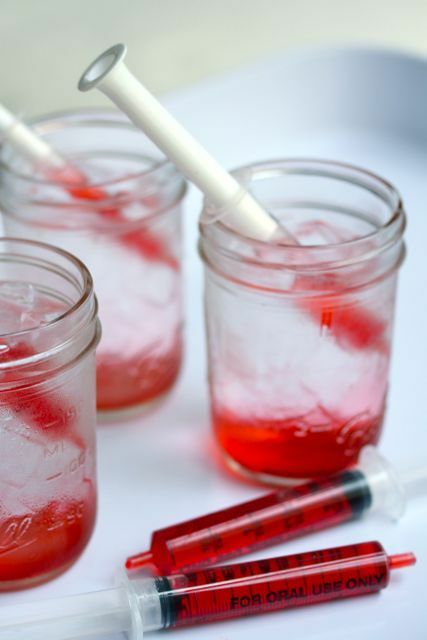 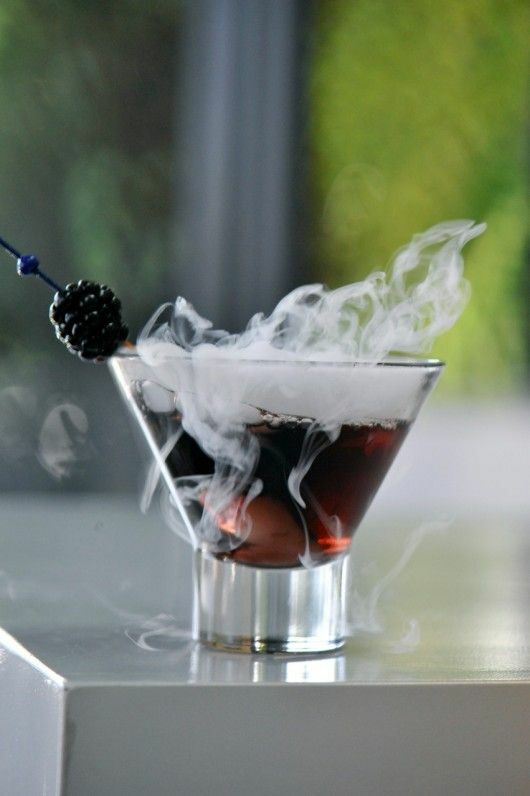 On this day food is a part of the décor: make the tasty and scary food like coffin brownies, radish and olive eye and brain cakes. 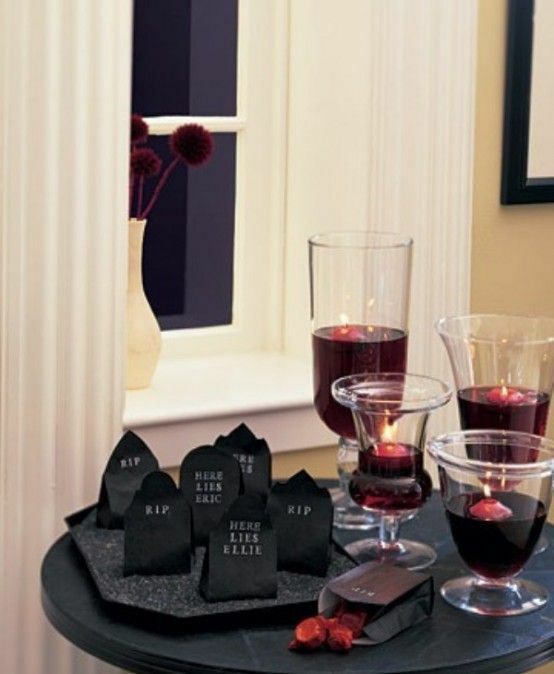 Get inspired by the ideas below!